Ready To Use Disinfectant and Cleaner! ShockWave Hydrogen Peroxide is a broad spectrum disinfectant and cleaner. ShockWave Hydrogen Peroxide is ideal for use in all restoration and remediation applications: mold remediation, water damage restoration and biohazard decontamination. 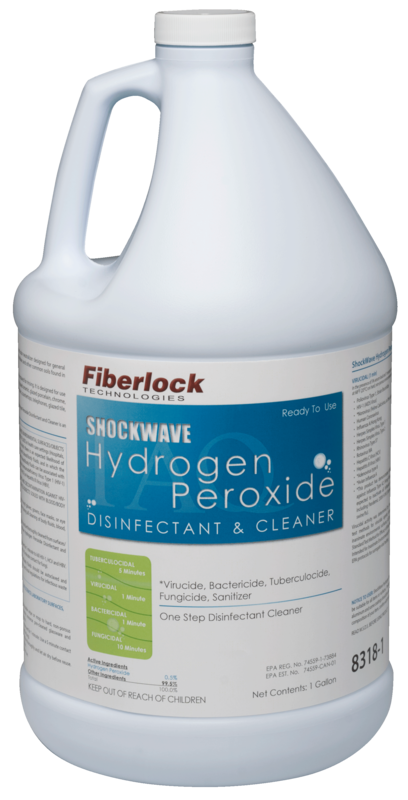 ShockWave Hydrogen Peroxide is a one-step hospital-use germicidal disinfectant cleaner and odor neutralizer designed for general cleaning, and disinfecting of hard, non-porous environmental surfaces. It cleans quickly by removing dirt, grime, mold, mildew, and other common soils found in hospitals, nursing homes, schools and colleges, medical, dental offices, and life science laboratories.